Watching your parent age can be overwhelming. All their life, they cared for you, so it can be quite emotional to realize that the roles have reversed. Now that your parent is a senior citizen, it’s time for you to observe closely for signs that they may need in-home healthcare. When you do, you might be unsure of how to approach the conversation. Maybe they have been struggling to remember important things recently, aren’t taking their medications properly, or have suffered a fall. Regardless of the specific circumstances, once it’s time to talk to your parent about this option, it’s natural to feel nervous about this conversation. You may fear that your parent will have a negative reaction. However, it is important to talk about this candidly, and with the right approach, it can be a productive conversation. Here are some tips for talking to your parent about hiring a home healthcare aide in Fort Collins. As awkward as you might feel about bringing this topic to the table, it can’t be nearly as bad as how your elderly parent feels about talking about it. Being a senior citizen offers certain joys — your parent might be enjoying the freedom of retirement, the joy of grandchildren, and the wisdom of many years on this planet. At the same time, getting older is a scary proposition for anyone, and your parent may think of their need for home healthcare as just another sign that they are nearing the end. This conversation is likely to bring them face to face with their mortality, so they may feel quite anxious. 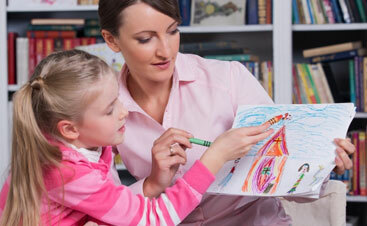 Approaching the topic with tact is key to easing the stress they feel around it. Before you sit down with them, make sure to plan what you are going to say. It helps to be as specific as possible about why you feel they have a need for in-home care. For example, if you notice that they aren’t able to cook for themselves anymore, they aren’t taking their medications, and they are struggling to find transportation to medical appointments, you might point out these areas and how an in-home health aide would be able to help them. Avoid being condescending; remember, just because you are caring for them now doesn’t mean they aren’t an adult who wants their own autonomy over their life. Chances are, if you want your parent to hire a home healthcare worker, you are concerned with their well-being and safety. You fear that if they continue to live alone, they won’t have the help they need when they need it. The worst case scenario has probably run through your head many times. Make sure that your parent understands how this anxiety is affecting you. Remember that they want you to be happy and they don’t want to be the source of any stress, so this fact alone may be enough to convince them they need help. 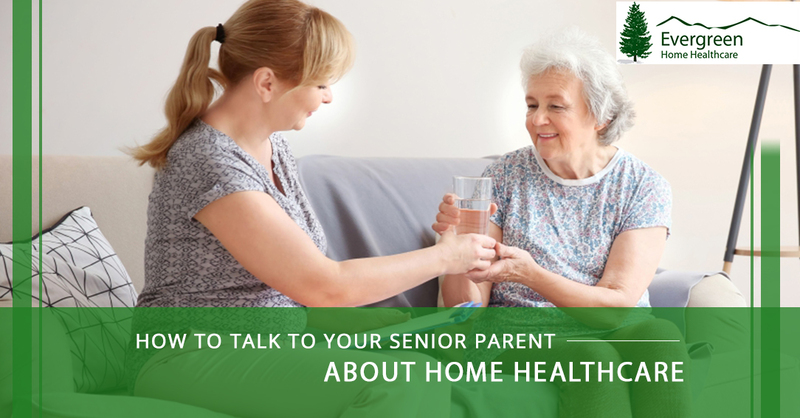 Of course, you have the best interest of your parent at heart, but at the end of the day, it’s your parent who will interact with the home health aide on a daily basis. Therefore, it’s very important to actively listen to them and address any concerns that they have. Ask them open-ended questions to keep the lines of communication open, and don’t say anything to coerce them into this decision. In the end, you may have to compromise, giving home healthcare a “trial run.” Be open to possibilities and draw no lines in the sand. 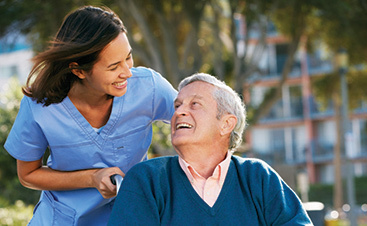 At Evergreen Home Healthcare, we understand the struggle of the transition to home healthcare for many seniors, and we would be happy to help your parent remain independently at home while still receiving the care they need. 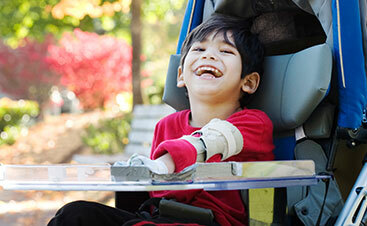 Contact us today to learn about our home healthcare services in Fort Collins.